The Ashden India Collective (formerly know as AIREC) brings together Indian Ashden Award winners to champion clean energy, promote best practice and end India’s vicious cycle of energy poverty. 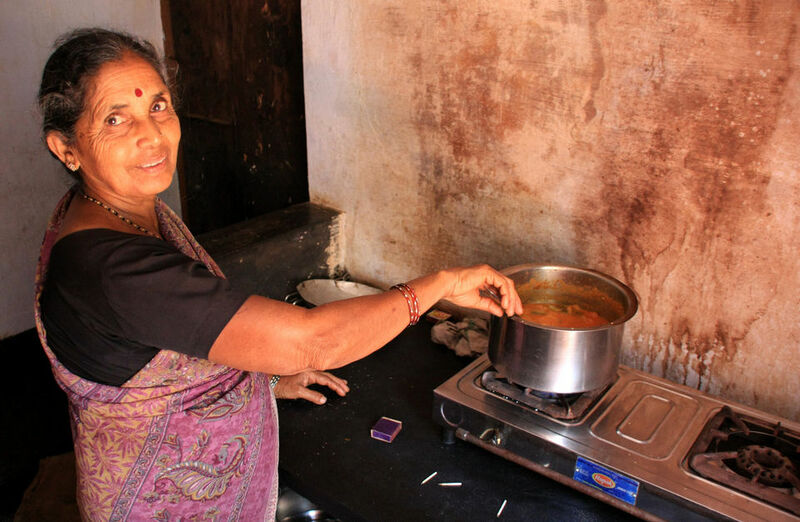 Around one fifth of India's population, roughly 250 million people, lives without grid electricity and over two-thirds of the population is exposed to intense indoor air pollution caused by burning biomass in inefficient, smoky cookstoves. We established the Ashden India Collective in 2010 to help increase access to energy for India’s rural poor – and to capitalise on the critical mass of innovative business models delivering sustainable energy in the country. AIC is becoming a force for change, with members working with various government agencies on a range of areas, including renewable energy finance, policy formulation, energy and gender, and mini grids. It is collaborating with the federal and sub-national government agencies to developing favourable ecosystem for effective deployment and management of renewable energy interventions at national and sub-national level. Supporting advocacy efforts for the Reserve Bank of India to accord ‘priority’ status to bank lending for household renewable energy applications: a development that has transformed the sector into a booming industry. Helped develop a grid-connected solar rooftop scheme for the city of Kolkata. Policy dialogues on regulations for off grid energy, subsidy and incentives, tariffs for off-grid energy – which resulted in recommendations to the government to create an enabling policy environment for off-grid renewable energy. Collective members contributing to plans for the second phase of the government’s flagship Jawarharlal Nehru National Solar Mission, which aims to mainstream off-grid solar power. Partnering with the Shakti foundation to produce a series of 12 briefing papers on the practical implementation of rural energy projects in India. Themes covered so far include building human resource capacities for decentralised rural energy and the latest thinking on clean cookstoves. Read the papers on the Shakti Foundation website. Commissioned to create Asia’s first grid-connected hybrid micro-hydro and solar PV plant. Keshav C Das, CEO, kd@ashdenindia.org.